Apply by Online on Pm Youth Internship at www.pmyts.nip.gov.pk. After selection candidates will be placed in any Government, Semi-Govt, Private departments. Candidates will be paid Rs.15000/ Pm and Rs.12000/ per month. 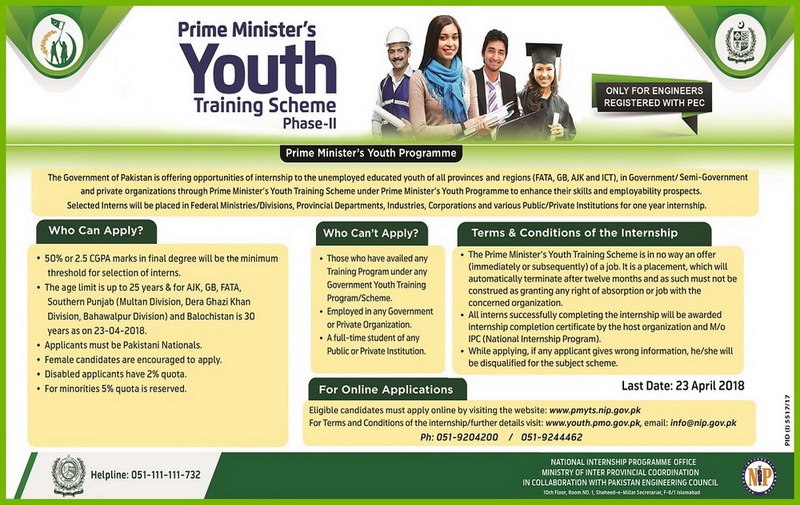 This PM youth internship program advertisement is published in Newspapers Daily Express, Jang & The News on Sunday 6th of April 2018.